In a valley in southern Guatemala, the mountains have watched the Perez family grow coffee for generations. Jovita Jefferson, formerly Jovita Perez, was raised on the fifty-acre coffee plantation with her thirteen brothers and sisters. Today when she and her husband, Mark, go back to Guatemala, they join in the nightly family gathering at the kitchen table. The conversation often returns to coffee. One evening, Jovita's mother said, "We have more coffee on the ground than we can get to market." She then shared that the family was earning only fifty-five cents per pound on their coffee. Her words compelled Jovita and Mark to start Xquisite Coffee. "In New York City, coffee can sell for $25 per pound. Yet they were getting fifty-five cents per pound? These numbers didn't add up for me," Mark says. He and Jovita dedicated themselves to learning about every step in the coffee process. Along the way, they discovered the problems of costly middlemen and corruption that were eroding profits for the Perez family. Today Mark and Jovita oversee Xquisite Coffee from the field to the market, and their goal is to help everyone in the family live a better life. In Mark's words: "This is direct trade." In establishing their business, they aligned with another family business from Brooklyn – Gillies Coffee, one of the oldest coffee roasters in America. "They're our mentors. Anything we need to know, we ask them because they've been doing this for over a hundred years," says Mark. 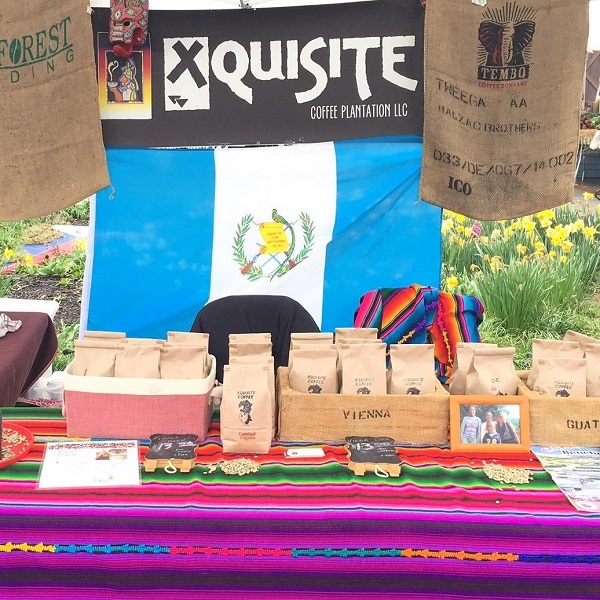 The momentum of Xquisite Coffee now lifts not only the Perez family, but the broader community. Jovita and Mark help support a school for kids in the valley, built by the Guatemalan government, on an acre of the Perez's land. They are also teaching other coffee growers in the region how to access the industry for themselves.